Okay, I'll go first! I am a follower and I went to Apothica.com and then left a message on their FB page! I will probably try the Fresh Black Tea Instant Perfecting Mask! OOh, I love beauty products and I'd have to get their dry hair oil, my mane can definately use some nuturing! 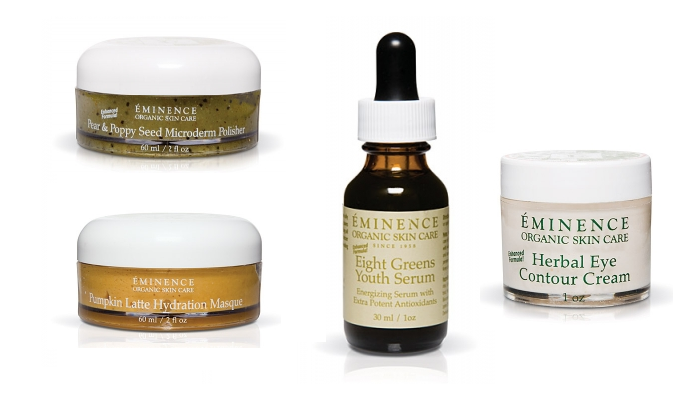 I would love the eight greens youth serum!! I am in dyer need of some skin help so I would love this! Liked and commented on their page! Thanks! bah!!!! i want to get some nail polish!!!!!!! i love apothica! i hope i hope i hope i win!! I would definitly try the pumpkin latte mask, sounds so luxurious! Now I want pumpkin pie!!! The Pear and Poppy Seed scrub sounds awesome! i'm your follower, of course! I follow you and I would probably try the black tea mask! I'd love to get Escada perfume! I used to be so addicted to this stuff and would get it for FREE through a work bonus! I love the cinnamon paprika body lotion! How exciting Lindsay! I would love to try any of the Nars products! 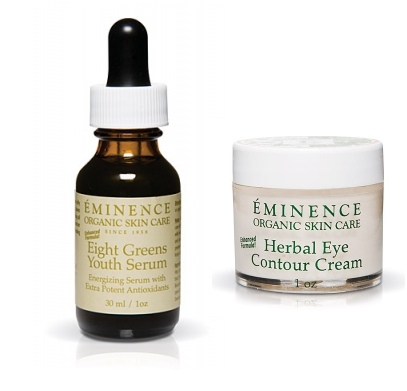 Staring at a computer 40+ hrs/wk is giving me crow's feet so I'm in dire need of some Eminence Herbal Eye Contour Cream! Oops, I forgot to mention that I follow you on GFC! of course follow you via GFC! I'd like the Estee Lauder Signature Silky Powder Blush! I would love to try Dermalogica's UltraCalming Mist! I would love the clarisonic Mia. oh oh oh I love this stuff!! I'm a follower, and I love Apothica products and just ran out of all of my creams. I would like to try the Pear and Poppyseed Microderm Polisher, I'm always on the hunt for exfoliators! I would love to try some of the bare minerals products for makeup and I see that they sell them there! i wrote on Apothica's face book page! - Aweseome Giveaway! Ooo thanks for sharing. Have to look more into Apothica's stuff. Umm probably would try.. nail polishes! oooh! fun stuff! i'd want to try the becca mineral foundation. Thank you for sharing the products, wonderful give away. I would like to rty the BECCA Cosmetics Boudoir Skin Mineral Foundation. following you and went to Apothica's facebook page! btw, love your blog. I am also an esthetician and currently not working. I miss it like crazy. And wrote on the FB wall too. I really want to try the youth serum! I would love to try the pumpkin latte hydration masque. I would love to try the Pear & Poppy Seed Microderm Polisher! oh, this is a hard one... so many great things... maybe the pumpkin masque or bare minerals makeup! I want to try their candles!!! I wrote on their FB page and told them what I thought! I would love to try out some Deborah Lippmann polishes if I win! I visited their site and love the Too Faced products especially the Natural Eye Kit - so pretty! I would love to try some things from Mario Badescu's acne line. I've heard good things, but the price tags keep me away. I'm also a GFC follower! I am in desperate need of a new (read: better) concealer, so I'd definitely use the gift certificate to get one. Any suggestions? I would LOVE to splurge on a bunch of Fresh products. Oh yes, I would.